The National College for Teaching and Leadership (NCTL), an executive agency of the Department for Education, is the awarding body for QTS. Please note that you need to enter your number without “/” or “RP”. For example, if your number is “RP 99/12345”, just enter “9912345”. If your number is “68/12345” just enter “6812345”. 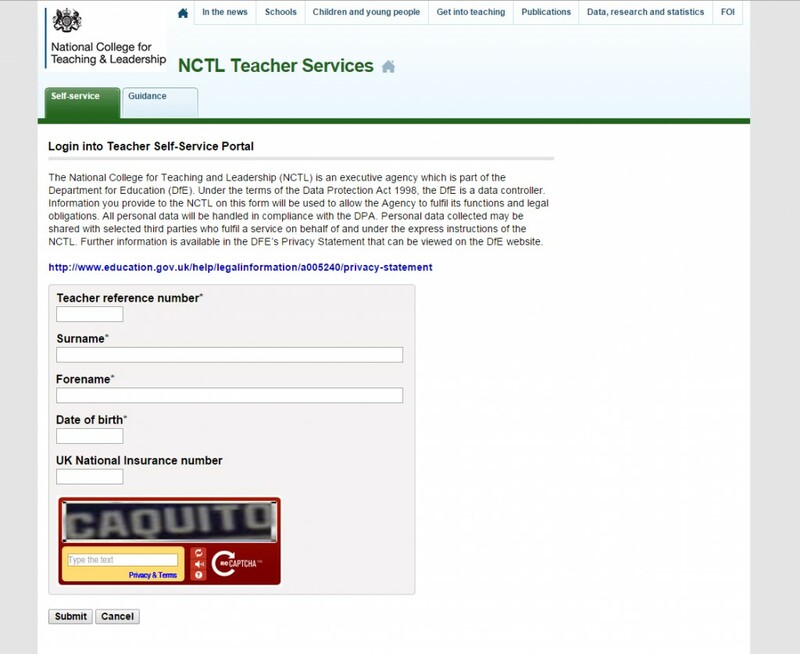 If you don’t know what your teacher reference number is, this can usually be found on your payslip or teachers’ pension documentation; alternatively, please contact the DfE on QTS.enquiries@education.gsi.gov.uk or 0207 593 5394. Clicking on these links will bring up the documents which you can save and/or print as evidence. We hope this is helpful. 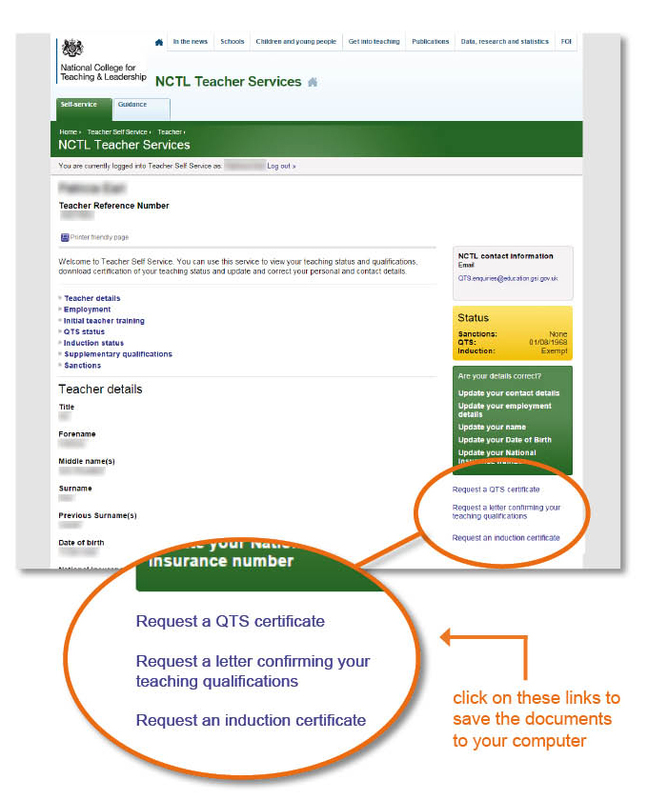 If you are having problems with that site or getting your teacher reference number, please contact the DfE directly via QTS.enquiries@education.gsi.gov.uk or 0207 593 5394.